MALAYSIA/PHILIPPINES – Razer, the leading global lifestyle brand for gamers, today announced that the official Razer Game Store will launch on Lazada Malaysia and Lazada Philippines on November 11, just in time for the 11.11 shopping festival. With this expansion, the Razer Game Store on Lazada is now available in a total of four Southeast Asian markets – Singapore, Thailand, Malaysia, and the Philippines – bringing unprecedented convenience and ease of access to 65.1 million gamers in the four countries. In addition to regular launch promotions, the Razer Game Store on Lazada will celebrate 11.11 with exclusive discounts off the popular game titles of up to 90 percent, including the latest blockbuster titles like Assassin’s Creed Odyssey. Well-loved titles like Cities: Skyline, Far Cry 5, and Cuphead will also see massive price cuts. 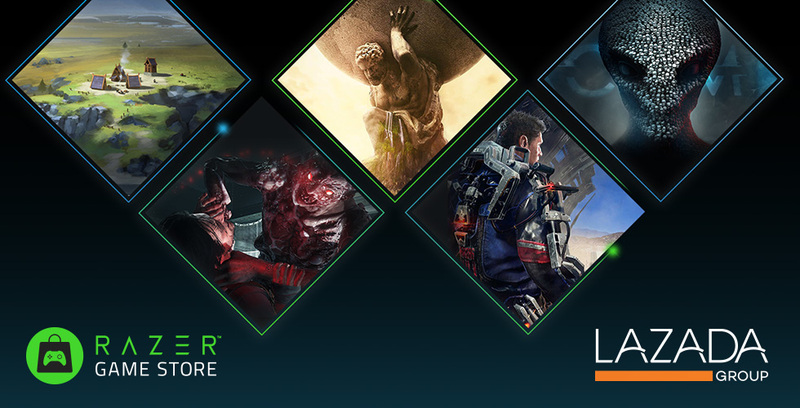 Razer Game Store is an exclusive source of great PC games on Lazada, providing fans with the ease of buying digital games in their local currency and through local payment methods that they’re already familiar with. Lazada shoppers in the Philippines, for example, can enjoy credit card instalments serviced by BDO Unibank, the largest bank in the country, or Gcash, a mobile wallet offered by Globe Telecom. Likewise, shoppers in Malaysia may choose to pay for their online purchases physically at 7-Eleven stores around the country, or via instalment plans serviced by Maybank. These local pricings and payment methods make it seamless for gamers in Malaysia and the Philippines to access and buy the latest and greatest PC games without having to deal with complicated exchange rates or uncertainty in the authenticity of purchases. Razer and Lazada are committed to ensuring that all games sold on the store are authentic and fully licensed, working with some of the biggest names in gaming such as Ubisoft, Bethesda, Deep Silver, 2K and Rockstar. For more details, please visit: Razer Game Store on Lazada Malaysia and Razer Game Store on Lazada Philippines. Launched in 2012, Lazada is the number-one online shopping and selling destination in Southeast Asia – present in Indonesia, Malaysia, the Philippines, Singapore, Thailand and Vietnam. As the pioneer of the eCommerce ecosystem in Southeast Asia, Lazada has 155,000 sellers and 3,000 brands serving 560 million consumers in the region through its marketplace platform, supported by a wide range of tailored marketing, data, and service solutions. With 300 million SKUs available, Lazada offers the widest range of products in categories from consumer electronics to household goods, toys, fashion, sports equipment and groceries. Focused on delivering an excellent customer experience, it offers multiple payment methods including cash-on-delivery, comprehensive customer care and hassle-free returns through its own first and last mile delivery arm supported by approximately 100 logistics partners. Lazada Group is majority owned by Alibaba Group Holding Limited (NYSE: BABA).